2 pm, 7 March, NZ High Commission, Bairiki – A KiLGA delegation, led by Mayor Taoaba Kaiea, had a mee ting with the New Zealand High Commissioner, Michael Upton and his senior staff. The Chairman congratulated the High Commissioner on his appointment and acknowledged his support to KiLGA in his earlier capacity as First Secretary and acknowledged NZ’s assistance to KiLGA’s application for the Fish Centre on Nikunau and the Training of Council Supervisors from TUC, BTC and ETC. Mr. Upton used the opportunity to discuss waste management issues. Mayor Taoaba reported on TUC’s decision to purchase a new waste truck with money received from their MPs. KiLGA’s partnership with ChildFundNZ on improving children conditions on Betio was also discussed. H.E. Michael Upton (far Right) with his officials and KiLGA’s leaders. 10 AM, 7 March, Taiwan Embassy, Bairiki – A KiLGA delegation led by Mayor Taoaba Kaiea, visited the Ambassador for Taiwan, H.E. Donald Lee, to discuss issues of common concern, proceeded by lunch. The KiLGA delegation thanked the Ambassador for the financial and technical assistance provided by his government, to Councils, including the Priority Projects that have provided capital assets and infrastructure for the Councils since 2004. The KiLGA delegation also requested the Ambassador for assistance in the training of Councils’ Guesthouse Keepers, Gardeners and Nurseryman, on horticulture and aquaculture. The Ambassador said it was in line with his work in promoting gardening and pig raising in Kiribati so that people have better diet and exercise. The KiLGA’s Executive Board, met with H.E. 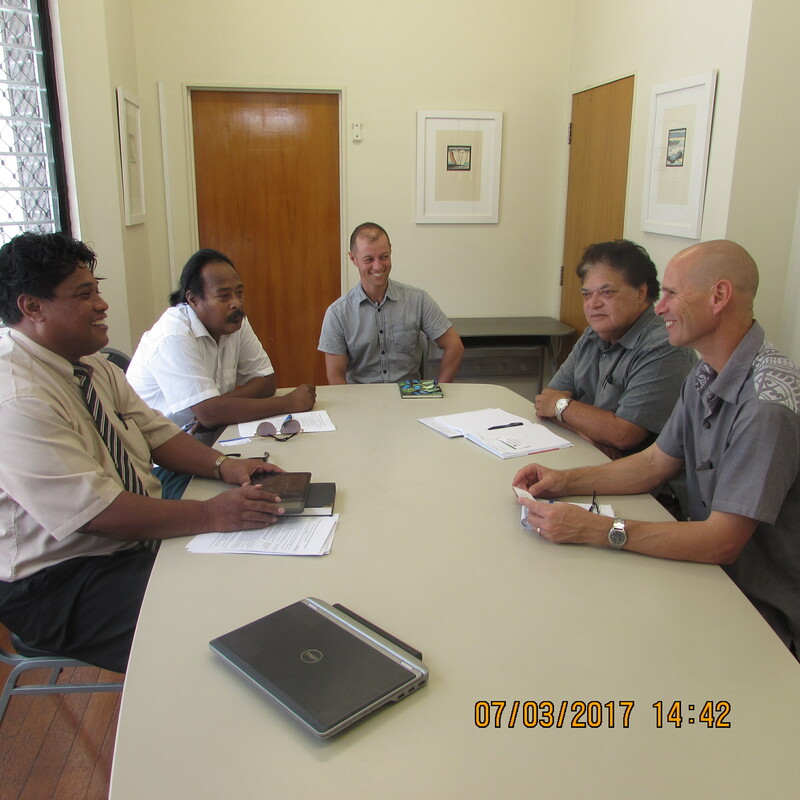 Taanei Maamau at his office on Thursday, 2nd March, 2017, when they shared information and issues related to the government’s Motinnano. 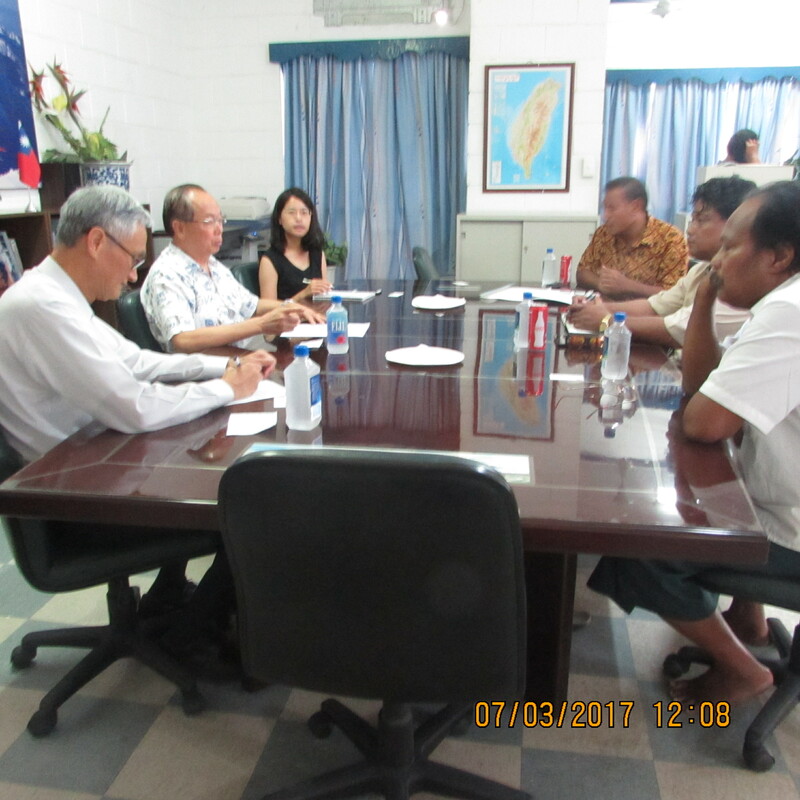 The KiLGA delegation, representing all 23 Mayors in Kiribati, congratulated the Beretitenti on his election and expressed appreciation for his policy of empowering Councils through various strategies, including the planned payment of salaries for Councillors and Mayors. The delegation also informed Te Beretitenti of KiLGA’s plans to set up a Councils Capital Fund and start a Capacity Building programme for Council staff. The Beretitenti showed his agreement with these proposals.